We are able to supply our Dolphin ink system tailored for Pre and Post print. This allows one Technology Medium to be used allowing for easier rework, and less stock, of press returns. We have a variety of Laser Sensitive Inks available. These can be used on various applications allowing the end user to finalise, or brand, their finished packaging before delivery. At Antonine, we have recently spent a lot of time developing a full range of Photochromic inks. 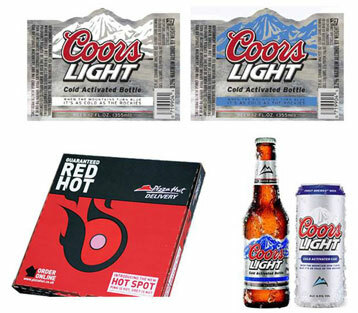 These products don’t appear when printed but are activated, and then appear, in sunlight. This allows our customers to enter a whole new area in Marketing or Security Products. 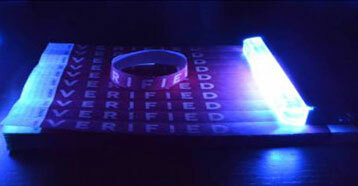 We can provide a full range of Thermochromics which can be either reversible on non-reversible. This allows our customers to use these various technologies for a different range of applications and are available for activation at different temperatures whether hot or cold. 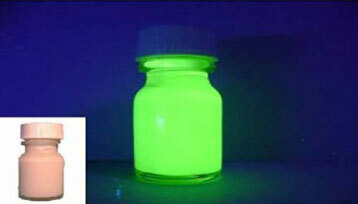 Antonine have a range of products which are invisible to the naked eye and only appear under UV light. These are also available in a range of colours. A full range of dedicated Security Inks are available. Some of these inks are developed and supplied under a Non-Disclosure agreement. A full range of Barrier Coatings is available. These can be tailored to achieve a specific COBB value and can even be supplied to be suitable for Direct Food Contact. Antonine can supply an ink range which is totally free of Fanal pigments. At Antonine we would also be more than happy to set up a tailor made development programme to suit any specific requirement. Further information on any of these products is available on request. So when you think ink – think Antonine. All content is copyright © Antonine Printing Inks Ltd.